From birthday cakes to questionable football skills, here’s a round-up of the day’s election coverage. During a walkabout with the media in Scout Scar, in the Lake District, Cumbria, Tim Farron was presented with a card and cake for his 47th birthday by members of the media. He also had time to show off his springer spaniel Jasper to the press corps. 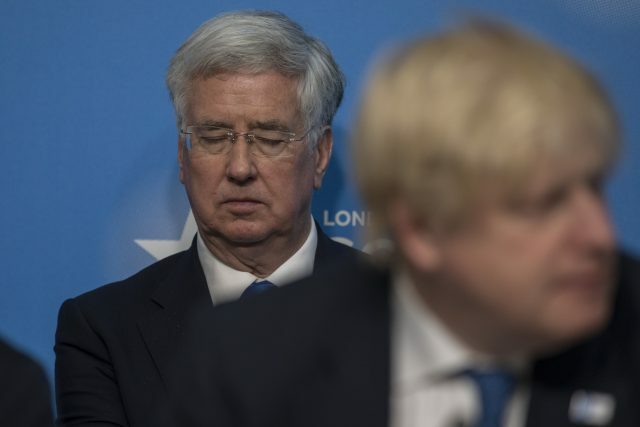 Defence secretary Michael Fallon faced a day of ridicule after an interview on Friday night with Channel 4 News when he condemned quotes about the war on terror which he thought were from Jeremy Corbyn, only to find out they were from Boris Johnson. He condemned this stance and, when he was told they were the foreign secretary’s views, Mr Fallon admitted he “didn’t agree” with Mr Johnson. 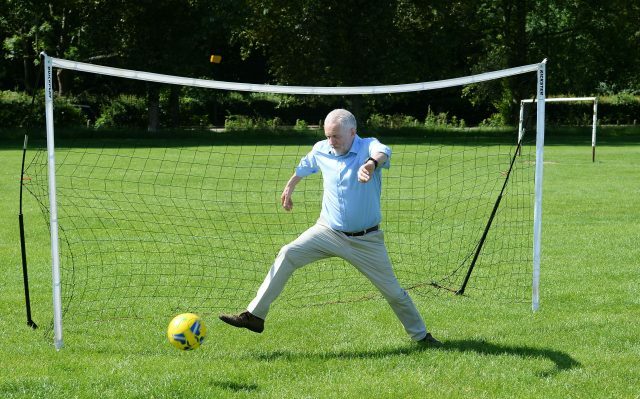 A penalty kick from a child gets past Mr Corbyn during a visit to Hackney Marshes football pitches, where Mr Corbyn was highlighting Labour’s manifesto commitment to developing a “flexible football ticket”. “Theresa May should take her inspiration from Jamie Oliver, not Oliver Twist,” he said. 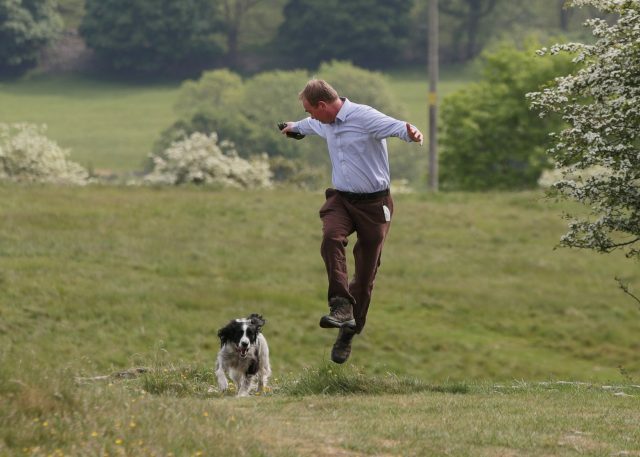 Mr Farron’s spaniel Jasper joined him for his birthday walk and was seen bounding through the Lake District. 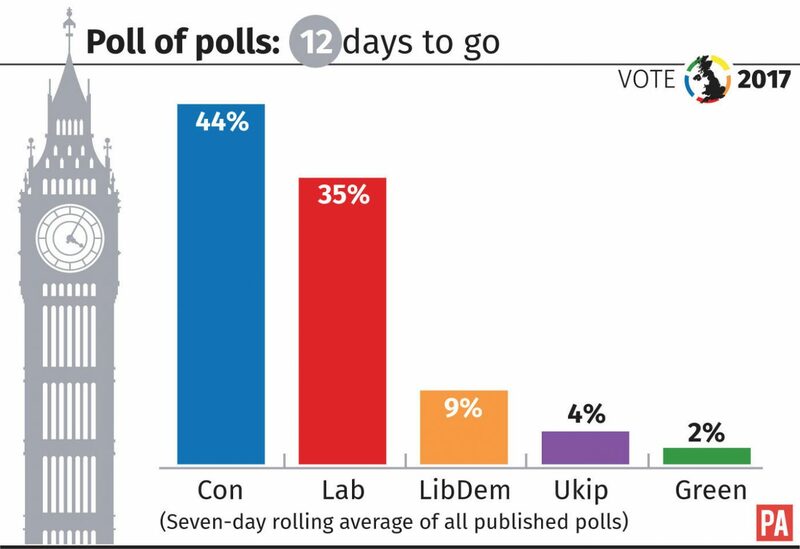 According to the Press Association’s poll of polls, projections have remained the same as they were on Friday, with the two front-runners of the Conservatives on 44% and Labour on 35%.